The fair returns for it’s 13th year with a new structural layout, 4-curated sections and 90 gallery line up. 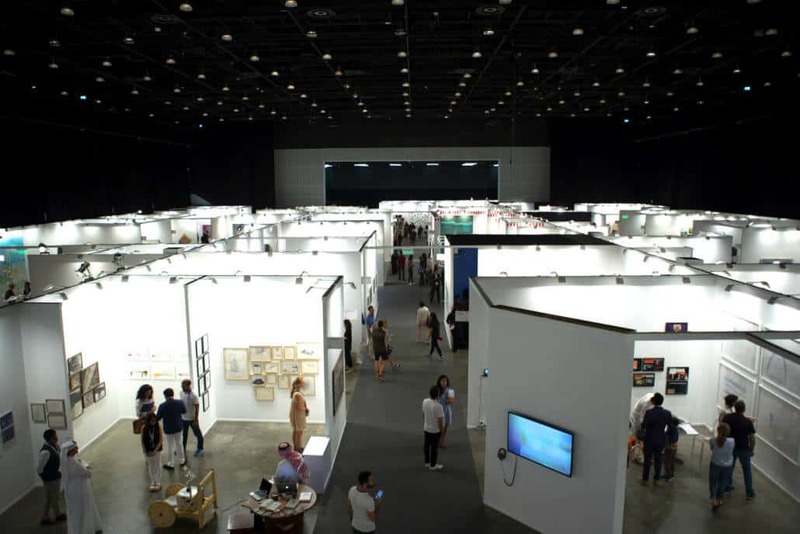 Each year galleries, collectors and art enthusiasts are prepared for one of the art world’s most expansive, extensive and comprehensive art fairs – Art Dubai. Since it’s inception in 2007 the fair has developed in size and in stature as a critical institution for the promotion, representation and growth of the arts. The fair emphasises that it “acts as a place of discovery for art from centres that are usually omitted from the Western mainstream dialogue on art in geographical terms referring to a region, which has recently become known as the ‘Global South’. Each year a new cohort of curators are invited to conceive an outstanding programme – Art Dubai’s 13th edition will be no exception. The fair returns with a new Director, a new structural layout, 4-curated sections and a 90 gallery line up that has a multi-disciplinary and worldwide representation from 41 countries. Under the directorship of Chloe Vaitsou and Artistic Director Pablo del Val the fair’s following new sections have been designed to complement each other; CONTEMPORARY, MODERN, RESIDENTS AND BAWABBA . The 69 participating galleries, include African Representation from GVCC (Morocco), Loft Art Gallery (Morocco), VOICE Gallery (Morocco), SMAC (South Africa) & Addis Fine Art (Ethiopia). Debuting for the first time will be BAWABBA meaning ‘gateway’ in arabic. The section will be featuring projects by individual artists or galleries located in the Middle East, Africa, Central and South Asia as well as Latin America. BAWABBA has been curated by French-Cameroonian curator Elise Atangana. It aims to “give visitors a curated reading of the Global South, acting as it’s name suggests as a gateway to current development from the regions.” Addis Ababa based gallery Guzo Art Projects will be among the those participating in the RESIDENTS section with Kenyan artist Wanja Kimani. ART AFRICA has been a media partner with the fair for a number of years and again this year. The host for the fair is Madinat Jumeirah – and the sponsors are Julius Baer and Piaget. The Dubai Culture and Arts Authority (Dubai Culture) is a strategic partner of Art Dubai and supports the fair’s year round education programme whilst BMW will be the exclusive car partner of Art Dubai. You can see the full list of participating galleries here.